You can lower your risk of drowning by wearing a life jacket — but it can’t be just any life jacket. To truly be effective, a life jacket needs to be the right type and fit correctly. But do you know just how important it is? According to the Coast Guard, drowning causes more than 70% of boating deaths — and more than 80% of victims are found without a life jacket. Even wearing a life jacket won’t do much good if it doesn’t fit correctly, though. So how do you choose the right one? Here are some tips from experts with the Coast Guard and the U.S. Marine Corps. First, choose the right type for your activities. Gone are the days when all life jackets were just those bulky orange vests you might remember from your childhood. There are different types for all kinds of activities now — including recreational boating, paddle sports such as kayaking or canoeing, even hunting and fishing. Some life jackets have auto-inflation features, so they can be worn more comfortably but still provide protection if someone falls into the water. For recreational boating, vest-type jackets are best, according to the Marines, particularly in calm, inland waters where help isn’t far away. If you’re going to be in rough water, or further out from shore, an offshore life jacket is better, because it’s more buoyant. Some models are even designed to help prevent hypothermia. 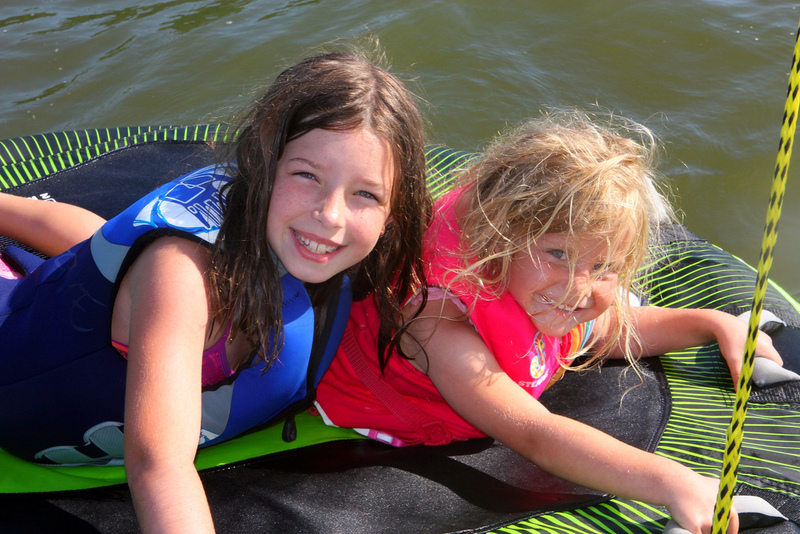 For activities on the water, such as waterskiing, kayaking, etc., specially designed life jackets provide additional range of motion. Then, make sure everyone has a jacket that fits properly. According to the Coast Guard, if a life jacket is too big, it won’t keep your head above the water. And if it’s too small, it might not have the buoyancy required to keep your body afloat. Remember, a life jacket sized for an adult will not work for a child. Here’s how to get the best fit. Check the manufacturer’s label for size and weight guidelines. Fasten the jacket correctly, then hold your arms straight over your head. Ask a friend to pull up on the jacket, holding the tops of the arm openings. If there is excess room above the openings, or the jacket rides up over your chin, it’s too big. It’s a good idea to try the life jacket in shallow water before taking it out for activities. Don’t forget about your pets. Even dogs that are strong swimmers can struggle in open water or get fatigued. So if you’ve got a dog coming with you on the water, the American Kennel Club recommends a life jacket for them, too! Available at pet stores and online, options include vests, which make it easier to swim, and jackets, which provide more buoyancy. Remember, nobody expects to be in an accident on the water — and if you think you’ll have time to just throw a life jacket on when something bad happens, think again. In most cases of boating-related drowning, the Coast Guard says, life jackets were stowed on board but not worn by victims. Summer is the perfect time to enjoy the outdoors by getting out on the water. But no matter what activity you choose, make sure you choose safety — find the right life jacket and wear it! Top image by Flickr user fivehanks used under Creative Commons Attribution 2.0 Generic license. Image cropped and modified from original. We're proud to feature several fine insurance companies, including Travelers, The Hartford, Safeco, Progressive, AIC, and Philadelphia Insurance Companies. Copyright © 2019, Hemnani & Company Insurance. All rights reserved.